This term, my OH are Wednesday 12-1 and Friday 12-2. Please, note that there are no office hours in reading week or the week starting on 18th February. 1999-2003 Dr rer. nat., University of Bayreuth, Germany; Thesis: Diversitaet von Geometriden (Lepidoptera) und Gefaeßpflanzen entlang von Habitatgradienten am Suedwest-Kilimanjaro. Lewis-Phillips, J., Brooks, S., Sayer, C.D., McCrea, R., Siriwardena, G. & Axmacher, J.C. (2019) Pond management enhances local abundance and species richness of farmland bird communities. - Agriculture, Ecosystems and Environment 273, 130-140. Kirkland, M., Eisenberg, C., Bicerra, A., Bodmer, R.E., Mayor P. & Axmacher, J.C. (2018 - early view) Sustainable wildlife extraction and the impacts of socio-economic change among the Kukama-Kukamilla people of the Pacaya-Samiria National Reserve, Peru. - Oryx, doi:10.1017/S0030605317001922. Li, X., Liu, Y., Duan, M., Yu, Z. & Axmacher, J.C. (2018) Different response patterns of epigaeic spiders and carabid beetles to varying environmental conditions in fields and semi-natural habitats of an intensively cultivated agricultural landscape. - Agriculture, Ecosystems and Environment 264, 54-62. Ruse, L.P., Greaves, H., Sayer, C.D. & Axmacher, J.C. (2018) Consequences of pond management for chironomid assemblages and diversity in English farmland ponds. - Journal of Limnology 77 (1S), 160-168. Sun, X., Shi, H., Sang, W. & Axmacher, J.C. (2018) Two new species of Feroperis Lafer (Carabidae: Pterostichus) from China, with a key to all known Chinese species in this subgenus. - Zookeys 799, 95-114. Wu, P., Axmacher, J.C., Song, X., Zhang, X., Xu, H., Chen, C., Yu, Z. & Liu, Y. (2018) Effects of plant diversity, vegetation composition, and habitat type on different functional trait groups of wild bees in rural Beijing. - Journal of Insect Science 18, 1-9. Zhang, X., Wu, P., Liu, Y., Han, Y., ZHang, X., Dai, P., Yu, Z. & Axmacher, J.C. (2018) Changes in assemblages and diversity patterns of Carabidae (Coleoptera) from 1997 to 2014 in a desalinized, intensively cultivated agricultural landscape in Northern China. - The Coleopterists Bulletin 72, 597-611. Alderton, E., Sayer, C.D., Davies R., Loambert S.J. & Axmacher, J.C. (2017) Buried alive: Aquatic plants survive in 'ghost ponds' under agricultural fields. - Biological Conservation 212A, 105-110. Beck, J, McCain, C.M., Axmacher, J.C., Ashton, L., Bärtschi, F., Brehm, G., Choi, S.-W., Cizek, O., Colwell, R.K., Fiedler, K., Francois, C.L., Highland, S., Holloway, J.D., Intachat, J., Kadlec, T., Kitching, R.L., Maunsell, S.C., Merckx, T., Nakamura, A., Odell, E., Sang, W., Toko, P.S., Zamecnik, J., Zou, Y. & Novotny, V. (2017) Elevational species richness gradients in a hyperdiverse insect taxon: a global meta-study on geometrid moths. - Global Ecology and Biogeography 26, 412-424. Hudson, L.N. et al. (2017) The database of the PREDICTS (Projecting Responses of Ecological Diversity In Changing Terrestrial Systems) project. - Ecology and Evolution 7, 145-188. Thompson, J.R., Iravani, H., Clilverd, H.M., Sayer, C.D., Heppell, C.M. & Axmacher, J.C. (2017) Simulation of the hydrological impacts of climate change on a restored floodplain. - Hydrological Sciences Journal 62, 2482-2510. Thompson, M.S.A., Brooks, S.J.,Sayer, C.D., Woodward, G., Axmacher, J.C., Perkins, D. & Gray, C. (2017) Large woody debris ‘rewilding’ rapidly restores biodiversity in riverine food webs. - Journal of Applied Ecology 55, 895–904. Zhuang, L., Axmacher, J.C. & Sang, W. (2017) Different radial growth responses to climate warming by two dominant tree species at their upper altitudinal limit on Changbai Mountain. - Journal of Forestry Research 28, 795-804. Clilverd, H.M., Thompson, J.R., Heppell, C.M., Sayer, C.D. & Axmacher, J.C. (2016) Coupled hydrological/hydraulic modelling of river restoration impacts and floodplain hydrodynamics. - River Research and Applications 32, 1927-1948. Davies, S.R., Sayer, C.D., Greaves, H., Siriwardena, G.M.& Axmacher, J.C. (2016) A new role for pond management in farmland bird conservation. - Agriculture, Ecosystems and Environment 223, 179-191. Dawson, M.N., Axmacher, J.C., Beierkuhnlein, C., Blois, J., Bradley, B.A., Cord, A.F., Dengler, J., He, K.S., Heaney, L.R., Jansson, R., Mahecha, M.D., Myers, C., Nogués-Bravo, D., Papadopoulou, A., Reu, B., Rodríguez-Sánchez, F., Steinbauer, M.J., Stigall, A., Tuanmu, M.-N. & Gavin, D.G. (2016) A second horizon scan of biogeography: Golden Ages, Midas touches, and the Red Queen. - Frontiers of Biogeography 8, e29770. Duan, M., Liu, Y., Yu, Z., Baudry, J.,Li, L., Wang, C. & Axmacher, J.C. (2016) Disentangling effects of abiotic factors and biotic interactions on cross-taxon congruence in species turnover patterns of plants, moths and beetles. - Scientific Reports 6, 23511. Duan, M., Liu, Y., Yu, Z., Li, L., Wang, C. & Axmacher, J.C. (2016) Environmental factors acting at multiple scales determine assemblages of insects and plants in agricultural mountain landscapes of northern China. - Agriculture, Ecosystems & Environment 224, 86-94. Li, J., Wang, W., Axmacher, J.C., Zhang, Y. & Zhu, Y. (2016) Streamlining China's protected areas. - Science 351, 1160. Sang, W. & Axmacher, J.C. (2016) Environment: China draws lines to green future. - Nature 531, 305. Zou, Y., Sang, W., Hausmann, A. & Axmacher, J.C. (2016) High phylogenetic diversity is preserved in species-poor high-elevation temperate moth assemblages. - Scientific Reports 6, 23045. Zou, Y., Sang, W., Warren-Thomas, E.& Axmacher, J.C. (2016) Geometrid moth assemblages reflect high conservation value of naturally regenerated secondary forests in temperate China. - Forest Ecology and Management 374,111-118. Liu, Y., Duan, M., Zhang, X.,Zhang, X., Yu, Z. & Axmacher, J.C. (2015) Effects of plant diversity, habitat and agricultural landscape structure on the functional diversity of carabid assemblages in the North China Plain. - Insect Conservation and Diversity 8, 163-176. Su, H., Feng, J., Axmacher, J.C. & Sang. W. (2015) Asymmetric warming significantly affects net primary production, but not ecosystem carbon balances of forest and grassland ecosystems in northern China. - Scientific Reports 5, 9115. Su, H., Sang, W., Yang, B. & Axmacher, J.C. (2015) Differential radial growth response of three coexisting dominant tree species to local and large-scale climate variability in a subtropical evergreen broad-leaved forest of China. - Ecological Research 30, 745-754. Zou, Y., Sang, W. & Axmacher, J.C. (2015) Resilience of insect assemblages to climate change in mature temperate mountain forests of NE China. - Journal of Insect Conservation 19, 1163-1172. Zou, Y., Sang, W., Wang, S., Warren-Thomas, E., Liu, Y., Yu, Z., Wang, C & Axmacher, J.C. (2015) Diversity patterns of ground beetles and understorey vegetation in mature, secondary and plantation forest regions of temperate Northern China. - Ecology and Evolution 5, 531-542. Warren-Thomas, E., Zou, Y., Dong, L., Yao, X., Yang, M., Zhang, X., Qin, Y., Liu, Y., Sang, W. & Axmacher, J.C. (2014) Ground beetle assemblages in Beijing's new mountain forests. - Forest Ecology and Management 334, 369-376. Zou, Y., Sang, W., Zhou, H., Huang, L. & Axmacher, J.C. (2014) Altitudinal diversity patterns of ground beetles (Coleoptera: Carabidae) in the forests of Changbai Mountain, Northeast China. - Insect Conservation and Diversity 7, 161-171. Axmacher, J.C. & Sang, W. (2013) Plant invasions in China – challenges and chances. - PLoS ONE 8, e64173. Clilverd, H.M., Thompson, J.R., Heppell, C.M., Sayer, C.D. & Axmacher, J.C. (2013) River-floodplain hydrology of an embanked lowland Chalk river and initial response to embankment removal. - Hydrological Sciences Journal 58, 627-650. Sayer, C., Shilland, E., Geaves, H, Dawson, B., Patmore, I., Emson, D., Alderton, E., Robinson, P., Andrews, K., Axmacher, J. & Wiik, E. (2013) Managing Britain's ponds - conservation lessons from a Norfolk farm. - British Wildlife 25,21-28. Warren-Thomas, E., Menton, M, Haman, J., Frisancho Vargas, R., Wadley, E., Price, N. & Axmacher, J.C. (2013) Frog Communities in Fire-Disturbed Forests of the Peruvian Amazon. - The Herpetological Bulletin 126, 14-24. Zou, Y., Sang, W., Bai, F. & Axmacher, J.C. (2013) Relationships between plant diversity and the abundance and α-diversity of predatory ground beetles (Coleoptera: Carabidae) in a mature Asian temperate forest ecosystem. - PLoS ONE 8, e82792. Duan, M., Liu, Y., Wang, C., Axmacher J.C., Li, L. & Yu, Z. (2012) Diversity of geometrid moths (Lepidoptera: Geometridae) in cropland and reforested semi-natural habitats along an elevational gradient at Bashang Plateau, Hebei Province, China. - Chinese Journal of Applied Ecology 23, 785-790 (Chinese with English abstract). Liu, Y., Axmacher, J.C., Wang, C., Li, L. & Yu, Z. (2012) Ground beetle (Coleoptera: Carabidae) assemblages at restored semi-natural habitats and intensively cultivated fields in Northern China. - Restoration Ecology 20, 234-239. Sayer, C., Andrews, K., Shilland, E., Edmonds, N., Edmonds-Browne, R., Padmore, I., Emson, D. & Axmacher J. (2012) The role of pond conservation in an agricultural landscape. - Aquatic Conservation: Marine and Freshwater Ecosystems22, 626-638. Zou, Y., Feng, J., Xue, D., Sang, W. & Axmacher, J.C. (2012) A comparison of terrestrial arthropod sampling methods. - Journal of Resources and Ecology 3, 174-182. Axmacher, J.C., Liu, Y., Wang, C., Li, L. & Yu, Z. (2011) Spatial α-diversity patterns of diverse insect taxa in Northern China: Lessons for biodiversity conservation. - Biological Conservation 144, 2362-2368. Fan, B., Sang, W., Axmacher, J.C. (2011) Forest vegetation responses to climate and environmental change: A case study from Changbai Mountain, NE China. - Forest Ecology and Management 262, 2052-2060. Laurance, W.F., Useche, D.C., Shoo, L.P., Herzog, S.K., Kessler, M., Escobar, F., Brehm, G., Axmacher, J.C., Chen, I.C., Gamez, L.A., Hietz, P., Fiedler, K., Pyrcz, T., Wolf, J., Merkord, C.L., Cardelus, C., Marshall, A.R., Ah-Peng, C., Aplet, G.H., Del Coro, A.M., Baker, W.J., Barone, J., Bruehl, C.A., Bussmann, R.W., Cicuzza, D., Eilu, G., Favila, M.E., Hemp, A., Hemp, C., Homeier, J., Huey, R.B., Hurtado, J., Jankowski, J., Kattan, G., Kluge, J., Kroemer, T., Lees, D., Lehnert, M., Longino, J.T., Lovett, J., Marin, P.H., Patterson, B.D., Pearson, R.G., Peh, K. S.-H., Richardson, B., Richardson, M., Samways, M., Senbeta, F., Smith, T.B., Utteridge, T., Watkins, J.E., Wilson, R., Williams, S.E. & Thomas, C.D. (2011) Global warming, elevational ranges and the vulnerability of tropical biota. - Biological Conservation 144, 548-557. Sang, W., Liu, X. & Axmacher, J.C. (2011) Germination and emergence of invasive Ambrosia artemisiifolia L. under changing environmental conditions in China. - Plant Species Biology 26, 125-133. Sang, W., Ma, K. & Axmacher, J.C. (2011) Securing a future for China’s wild plant resources. - BioScience 61, 720-725. Schrumpf, M., Axmacher, J.C., Zech, W. & Lyaruu, H.V.M. (2011) Net precipitation and soil water dynamics in clearings, old secondary and old growth forests in the mountain rain forest belt at Mount Kilimanjaro, Tanzania. - Hydrological Processes 25, 418-428. Zou, Y., Feng, J., Xue, D., Sang, W. & Axmacher, J. (2011) Insect Diversity: Addressing an important but strongly neglected research topic in China. - Journal of Resources and Ecology 2, 380-384. Liu, Y., Axmacher, J.C., Wang, C., Li, L. & Yu, Z. (2010) Ground beetles (Coleoptera: Carabidae) in the intensively cultivated agricultural landscape of Northern China – implications for biodiversity conservation. - Insect Conservation and Diversity 3, 34-43. Sang, W., Zhu, L. & Axmacher, J.C. (2010) Invasion pattern of Eupatorium adenophorum Speng in Southern China. - Biological Invasions 12, 1721-1730. Axmacher, J.C. , Brehm, G., Hemp, A., Tünte, H., Lyaruu, H.V.M., Müller-Hohenstein, K. & Fiedler, K. (2009) Determinants of diversity in afrotropical herbivorous insects (Lepidoptera: Geometridae): plant diversity, vegetation structure or abiotic factors? - Journal of Biogeography 36, 337-349. Qiu, W., Wang, B., Jones, P.J.S. & Axmacher, J.C. (2009) Challenges in developing China's marine protected area system.- Marine Policy 33, 599-605. Axmacher, J.C. & Fiedler, K. (2008) Habitat type modifies geometry of elevational diversity gradients in geometrid moths (Lepidoptera: Geomtridea) on Mt. Kilimanjaro, Tanzania. - Tropical Zoology 21, 243-251. Gu, W., Sang, W., Liang, H. & Axmacher, J.C. (2008) Effects of Crofton weed Ageratina adenophora on assemblages of Carabidae (Coleoptera) in the Yunnan Province, South China. - Agriculture, Ecosystems & Environment 124, 173-178. Liu, Y., Axmacher, J.C., Wang. C., Li, L. & Yu, Z. (2007) Ground beetle (Coleoptera: Carabidae) inventories: a comparison of light and pitfall trapping. - Bulletin of Entomological Research 97, 577-583. Schrumpf, M., Axmacher, J.C. , Zech, W., Lehmann, J. & Lyaruu, H.V.M. (2007) Long-term effects of rainforest disturbance on the nutrient composition of throughfall, litter percolate and soil solution at Mt. Kilimanjaro. - Science of the Total Environment 376, 241-254. Brehm, G. & Axmacher, J.C. (2006) A comparison of manual and automatic moth sampling methods (Lepidoptera: Arctiidae, Geometridae) in a rain forest in Costa Rica. - Environmental Entomology 35, 757-764. Liu, Y., Yu, Z., Chen, J., Liu, M., Doluschitz, R. & Axmacher, J.C. (2006) Changes of Soil Organic Carbon in an intensively cultivated agricultural region: A Denitrification-Decomposition (DNDC) modelling approach. - Science of the Total Environment 372, 203-214. Liu, Y., Yu, Z., Gu, W. & Axmacher, J.C. (2006) Diversity of carabids (Coleoptera, Carabidae) in the desalinized agricultural landscape of Quzhou county, China. - Agriculture, Ecosystems & Environment 113, 45-50. Schrumpf, M., Zech, W., Axmacher, J.C. & Lyaruu, H.V.M. (2006) Biogeochemistry of an afrotropical montane rain forest at Mt. Kilimanjaro, Tanzania. - Journal of Tropical Ecology 22, 77-89. Yu, Z., Liu, Y. & Axmacher, J.C. (2006) Field margins as rapidly evolving local diversity hospots for ground beetles (Coleoptera: Carabidae) in Northern China. - The Coleoperists Bulletin 60, 135-143. Axmacher, J.C. & Fiedler, K. (2004) Manual versus automatic moth sampling at equal light sources – a comparison of catches from Mt. Kilimanjaro. - Journal of the Lepidopterists' Society 58, 196-202. Axmacher, J.C., Holtmann, G., Scheuermann, L., Brehm, G., Müller-Hohenstein, K. & Fiedler, K. (2004) Diversity of geometrid moths along an Afrotropical altitudinal rainforest transect. - Diversity and Distributions 10, 293-302. Axmacher, J.C., Tünte, H., Schrumpf, M., Müller-Hohenstein, K., Lyaruu, H.V.M. & Fiedler, K. (2004) Diverging diversity patterns of vascular plants and geometrid moths during forest regeneration on Mt. Kilimanjaro, Tanzania. - Journal of Biogeography 31, 895-904. Axmacher, J.C. , Tünte, H. & Schrumpf, M. (2004) Biodiversitätsuntersuchungen am Kilimanjaro. - Bundesamt für Naturschutz (BfN): Treffpunkt Biologische Vielfalt 4, 97-102. Schrumpf, M., Lyaruu, H.V.M., Axmacher, J. & Zech, W. (2003) Einfluss des Störungsgrades der Vegetation auf interne Nährstoffkreisläufe und Stoffflüsse in der Bergwaldstufe des Mt. Kilimanjaro, Tansania. - Mitteilungen der Deutschen Bodenkundlichen Gesellschaft 102/2, 399-400. Schrumpf, M., Lyaruu, H.V.M., Axmacher, J.C., Zech, W. & Bruijnzeel, L.A. (2011) Effects of forest disturbance and regeneration on net precipitation and soil water dynamics in tropical mountain rain forests at Mt. Kilimanjaro, Tanzania. - In: L.A. Bruijnzeel, F.N. Scatena, & L.S. Hamilton (eds.) Tropical montane cloud forests. Science for Conservation and Management. Cambridge University Press, Cambridge, 491-501. Axmacher, J.C., Kühne, L. & Vohland, K. (2008) Notes on α- and β-diversity pattern of selected moth families. - In: L. Kühne (ed.) Butterflies and Moth diversity of the Kakamega Forest (Kenya). Brandenburgische Universitätsdruckerei, Potsdam, 35-46. Axmacher, J.C., Scheuermann, L., Schrumpf, M., Lyaruu, H.V.M., Fiedler, K., & Müller-Hohenstein, K. (2006) Effects of fire on the diversity of geometrid moths on Mount Kilimanjaro, Tanzania. - In: E. Spehn, M. Liberman & Ch. 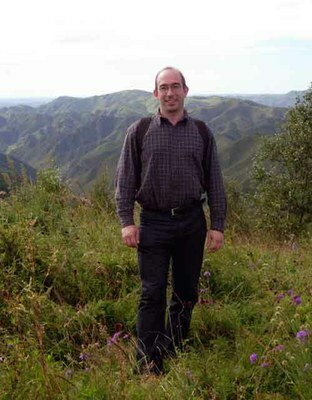 Körner (eds): Land Use Change and Mountain Biodiversity. CRC Press, Boca Raton, 69-75. Ning, W., Wang, C., Ausseil, A.-G. E., Alhafedh, Y., Broadhurst, L.M., Lin, H.J., Axmacher, J.C., Okubo, S., Turney, C.S.M., Onuma, A.,Chaturvedi, R.K., Kohli, P., Apadodharan, S.K., Abhilash, P.C., Settele, J.,Claudet, J., Yumoto T. & Zhang, Y. (2018) Chapter 4: Direct and indirect drivers of change in biodiversity and nature’s contributions to people. In: The IPBES regional assessment report on biodiversity and ecosystem services for Asia and the Pacific. Karki, M., Senaratna Sellamuttu, S., Okayasu, S., Suzuki, W. (eds.). Secretariat of the Intergovernmental Science-Policy Platform on Biodiversity and Ecosystem services, Bonn, Germany, pp. 337-469. https://www.ipbes.net/assessment-reports/asia-pacific. Alderton, E., Sayer, C., Nobes, G., Shilland, E., Axmacher, J., Lambert, S. (2014)Surveying water beetle diversity & colonization of restored and resurrected ponds, and County Wildlife Site ponds at Brisley Green.2nd report for the Norfolk Biodiversity Partnership. Axmacher, J. (2012) The M.Sc.Conservation at University College London, UK. - Forum der Geoökologie 23, 35-36. Müller-Hohenstein, K., Zech, W., Axmacher, J., Fritzsche, F., Guggenberger, G., Paulsch, A., Schrumpf, M. & Wilcke, W. (2002) Degradation von Vegetation und Böden. - Spektrum Universität Bayreuth 1/02 , 45-49. Axmacher, J.C. & Gollan, T. (eds.) (2004) Society for Tropical Ecology: 17th Annual Conference “Biodiversity, and dynamics in tropical ecosystems”, Program and Abstracts. - Bayreuther Forum Ökologie 105, 330 pp. Axmacher, J.C., Yi, Z., Sang, W., Yu, Z., Liu, Y (2018) New opportunities for biodiversity conservation in rural China. – 5th European Congress of Conservation Biology (Society for Conservation Biology), Jyväskylä, Finland,12th - 15th of June 2018. Axmacher, J.C., Yi, Z., Sang, W. (2016) China’s new forests harbour diverse insect assemblages. – The Biogeography of Ecology; IBS (International Biogeography Society) Special Meeting - Beijing 2016, 4-8 May 2016. Clilverd,H.M., Thompson,J.R., Heppell,C.M., Sayer,C.D., Axmacher,J.C. (2015) Removal of river embankments and the modelled effects on river-floodplain hydrodynamics. – EGU General Assembly, Vienna, Austria, 12–17 April 2015. Axmacher, J.C. (2015) Diverging diversity patterns in species-rich taxa - Implications for biodiversity conservation. – International Biogeography Society 7th Biennial Conference, Bayreuth, Germany, 8-12 January 2015. Axmacher, J.C. (2014) Climate as key determinant of insect diversity patterns. – Keynote, Xth European Congress of Entomology, York, UK, 3-8 August 2014. Axmacher, J.C. (2014) Aligning biodiversity conservation and landscape management objectives. – Invited talk, Workshop ‘Progress in China’s Agricultural Land Quality’, State Key Laboratory of Agricultural Land Quality, Ministry of Land and Resources, Beijing, China. Axmacher, J.C. (2013) Insect diversity in the agricultural landscape of northeast China. – Workshop of the Sino-German International Research Training Group ‘Sustainable Resource Use in the North China Plain’, Beijing, China. Clilverd,H.M., Thompson,J.R., Sayer,C.D., Heppell,C.M., Axmacher,J.C. (2012) Ecohydrology of an embanked lowland UK river meadow and the effects of embankment removal. American Geophysical Union Fall Meeting, San Francisco, USA, 3-7 December 2012. Axmacher, J.C., Wang, C., Liu, Y. & Yu, Z. (2010): Diversity of geometrid moths in Northern China - altitude and habitat. – ZSL-Symposium Foundations of Biodiversity: saving the world’s non-vertebrates, London, UK. Clilverd, H.M., Thompson, J.R., Heppell, C.M., Sayer, C.D. & Axmacher, J.C. (2009) Hydrological restoration of river-floodplain connections and the effects on wet grassland plant communities. – Hydro-Eco’2009, Vienna, Austria, 20-23 April 2009. Wang, C., Liu, Y. & Axmacher, J.C. (2009) Habitat-GIS-based models for ground beetles (Coleoptera: Carabidae) distribution in agricultural landscape. – 17th International Conference on Geoinformatics, Fairfax, USA, 12-14 August 2009. Schrumpf, M., Reichenbach, A., Axmacher, J., Zech, W. (2005) Forest soils on the SW-slopes of Mt Kilimanjaro. – 18th Annual Conference of the Society for Tropical Ecology (gtö), Berlin, Germany, 22-25 February 2005. Axmacher, J.C., Doluschitz, R., Liu, Y. & Yu, Z. (2004) Regional modelling using an Agro-Environmental Information System AEIS. – Sino-German Workshop ”Modelling Material Flows and Production Systems for Sustainable Resource Use in Intensified Crop Production in the North China Plain”, Beijing, China. Axmacher, J.C. (2003) Biodiversity patterns and herbivory in natural forests and forest plantations in the Munessa Forest, Ethiopia. – Symposium on ‘Regeneration, Maintenance and Sustainable Use of Afromontane Forests in Ethiopia with special emphasis on Munessa-Sheshamene Forest’, Wondo Genet, Ethiopia. Axmacher, J.C. (2003) Biodiversität am Kilimanjaro (Biodiversity on Mt. Kilimanjaro). – Interdisciplinary expert meeting, Environmental Protection Academy (BfN), Vilm, Germany, 25-29 August 2003. Axmacher, J., Holtmann, G., Scheuermann, L., Schrumpf, M. & Müller-Hohenstein, K (2003) Lepidopterendiversität im Verlauf der Waldregeneration am Kilimanjaro (Diversity of Lepidoptera in the course of forest regeneration on Mt. Kilimanjaro). – 16th Annual Conference of the Society for Tropical Ecology (gtö), Rostock, Germany, 19-22 February 2003. Holtmann, G., Axmacher, J.C. & Müller-Hohenstein, K. (2003) Lepidopterendiversität und Vegetationsstrukturen im Vergleich kleinbäuerlicher Wirtschaftssysteme und Großfarmen. – 16th Annual Conference of the Society for Tropical Ecology (gtö), Rostock, Germany, 19-22 February 2003. Scheuermann, L., Axmacher, J.C., Müller-Hohenstein, K., & Fiedler, K. (2003) Decline of moth diversity at the upper forest belt of Mt. Kilimanjaro as a result of fire. – 16th Annual Conference of the Society for Tropical Ecology (gtö), Rostock, Germany, 19-22 February 2003. Schrumpf, M., Axmacher, J.C., Tünte, H., Müller-Hohenstein, K., & Zech, W. (2003) Bergwaldregeneration am Mt. Kilimanjaro, Tansania: Synthese von Biodiversitätsdynamik und Nährstoffdynamik (Mountain forest regeneration on Mt. Kilimanjaro, Tanzania: A synthesis of the dynamics in biodiversity and nutrients). – 16th Annual Conference of the Society for Tropical Ecology (gtö), Rostock, Germany, 19-22 February 2003. Tünte, H., Axmacher, J.C., & Müller-Hohenstein, K. (2003) Vegetation changes in the course of forest regeneration on Mt. Kilimanjaro, Tanzania. – 16th Annual Conference of the Society for Tropical Ecology (gtö), Rostock, Germany, 19-22 February 2003. Axmacher, J.C., Scheuermann, L., Schrumpf, M., Lyaruu, H.V.M., Fiedler, K., & Müller-Hohenstein, K. (2002) Effects of fire on the diversity of geometrid moths on Mount Kilimanjaro, Tanzania. – Symposium of the Global Mountain Biodiversity Assessment (GMBA), 6th International Conference of the African Mountains Association (AMA), Moshi, Tanzania, 19-24 August 2002. Axmacher, J.C., Lyaruu, H.V.M., & Müller-Hohenstein, K. (2002) Lepidopterendiversität entlang eines Störungsgradienten im Bergregenwald des Mt. Kilimanjaro (Diversity of Lepidoptera along a disturbance gradient in the mountain rainforest of Mt. Kilimanjaro). – 15th Annual Conference of the Society for Tropical Ecology (gtö), Göttingen, Germany, 20-23 February 2002. Gessler, C., Axmacher, J.C. & Müller-Hohenstein, K. (2002) Vegetationsstruktureinheiten in der Agroforstzone am Mt. Kilimanjaro (Structural vegetation units in the agroforestry zone of Mt. Kilimanjaro). – 15th Annual Conference of the Society for Tropical Ecology (gtö), Göttingen, Germany, 20-23 February 2002. Axmacher, J.C., Lyaruu, H.V.M., Schrumpf, M., & Müller-Hohenstein, K. (2001) Diversity of Lepidoptera at different levels of disturbance in the mountain rain forest of Mt. Kilimanjaro. – 2nd Annual Conference of the Tanzania Wildlife Research Institute TaWiRI, Arusha, Tanzania, 11-15.11.2001. Happich, M., Axmacher, J.C., Lyaruu, H.V.M., & Müller-Hohenstein, K. (2001) Strukturelle Erfassung der Regeneration eines Bergregenwaldes am Kilimanjaro, Tanzania (Structural recording of the tropical mountain rainforest regeneration on Mt. Kilimanjaro, Tanzania). – 14th Annual Conference of the Society for Tropical Ecology (gtö), Bremen, Germany, 13-16 February 2001. Axmacher, J.C., Paulsch, A., & Müller-Hohenstein, K. (1999) Die individuengenaue Erfassung der Vegetation eines tropischen Bergregenwaldes - Möglichkeiten und Grenzen (Plant-individual based recording of tropical mountain rainforest vegetation structure – possibilities and limitations). – 12th Annual Conference of the Society for Tropical Ecology (gtö), Ulm, Germany, 17-19 February 1999. Schrumpf, M., Axmacher, J.C., Schubert, C., Guggenberger, G., Paulsch, A., Valarezo, M.C., Müller-Hohenstein, K., & Zech, M. (1999) Vergleich struktureller Vegetationsmerkmale mit Parametern zum Nährstoffstatus von Böden in einem südecuadorianischen Bergregenwald (Linkages between structural vegetation traits and the nutrient states of soils in a southern Ecuadorian mountain rainforest). – 12th Annual Conference of the Society for Tropical Ecology(gtö), Ulm, Germany, 17-19 February 1999. Axmacher, J.C., Paulsch, A., & Müller-Hohenstein, K. (1999) Strukturelle Diversität eines südecuadorianischen Bergregenwaldes (Structural diversity of a southern Ecuadorian mountain rainforest). – 29th Annual Conference of the Ecological Society of Germany, Austria and Switzerland (GfÖ), Bayreuth, Germany, 13-18 September 1999. Paulsch, A., Axmacher, J.C., & Müller-Hohenstein, K. (1998) Vergleich strukturbeschreibender Vegetationsklassifizierungen am Beispiel des südecuadorianischen Bergregenwaldes (Comparison of structure-based vegetation classification systems using a southern Ecuadorian mountain rainforest as case study). – 11th Annual Conference of the Society for Tropical Ecology (gtö), Bielefeld, Germany, 20-22 February 1998; Bielefelder Ökologische Beiträge 12, 135. Diversity patterns of insects and plants in northeastern China – College of Life and Environmental Science, Minzu University of China, Beijing, China. Landscape and biodiversity conservation in the 21st century – Beijing Normal University, Beijing, China. Biodiversity Conservation and Agricultural Landscape Management in Europe and China. – Shenyang Agricultural University, Shenyang, China. Perspectives on scientific writing, presenting and publishing. - Shenyang Agricultural University, Shenyang, China. Reflections on Biodiversity Conservation and Environmental Management in China and Europe. – College of Life and Environmental Science, Minzu University of China, Beijing, China. Biodiversity and pest control in anthropogenic habitats of northern China. – British Museum of Natural History, London, UK. Biodiversity patterns. A search for general principles. – Institute of Botany, Chinese Academy of Sciences, Beijing, China. Landscape management in Europe and China. – China Agricultural University, Beijing, China. Biodiversity – Northeast Forest University, Harbin, China. Analysing and conserving the diversity of life. – Minzu University of China, Beijing, China. Effects of agricultural activities on insect species richness in the intensively cultivated landscape of Quzhou county, North China Plain. – UCL China Research Festival, London, UK. Recording and analysis of biodiversity. – China Agricultural University, Beijing, China. Biodiversity conservation in a changing environment. – China Agricultural University, Beijing, China. Mt Kilimanjaro - Hotspot oder Coolspot der Biodiversität? (Mt. Kilimanjaro – Biodiversity hotspot or biodiversity coolspot?) – NLU-Colloquium ‘Gundlagen und Anwendungen im Natur-, Landschafts- und Umweltschutz’, University of Basel, Switzerland. Measuring biodiversity. – China Agricultural University, Beijing, China. Mt. Kilimanjaro - Notes on the ecology of Africa’s highest mountain. – Invited talk, China Agricultural University, Beijing, China. I am a member of the Recent Environmental Change and Biodiversity (RECB) research cluster, and my research interests focus on aspects related to biodiversity conservation, ecosystem services and sustainable resource use. My research group studies the patterns of insect and plant diversity in space and time, models the environmental factors influencing these patterns and investigates the impacts ecosystem restoration and habitat management have on biodiversity and the associated provision of ecosystem services like biological pest control. Environmental factors we are particularly interested in are land-use patterns, climate change and invasive species. Our research is primarily based in China and the UK. I have made substantial contributions towards current debates in biodiversity conservation and its massive shortcomings in relation to the protection of the most species-rich taxa on our planet. Other impacts of my research include contributions towards an improved understanding of the colonization patterns and processes of invasive plant species, which are becoming an increasingly severe problem across the world. Accordingly, I have been selected as lead author (LA) of the 'Intergovernmental Platform on Biodiversity and Ecosystem Services' (IPBES) 'Regional Assessment for Asia and the Pacific' (IPBES Deliverable 2 (b)) and am currently considered as LA of the 'Thematic assessment on invasive alien species and their control' (IPBES Deliverable 3 (b) (ii)). Together with my Chinese colleagues, I am also in discussions with representatives of relevant Chinese Ministries how the sustainability of agricultural practices in China can be enhanced and the agricultural landscape structure can be optimized to enhance its biodiversity and the provision of ecosystem services. Laura Cottam (2017) Hedgerow management schemes and their effect on plant diversity. Zhonghzou Sui (2017) Exploring geographic distributions of three plant species in China based on Maximum Entropy Models. Atzeni L (2014) On the role of red collared brown lemur for the regeneration of littoral forest fragments. Breden N (2014) The influences of habitat type and environmental characteristics on bat activity along five streams in East Sussex. Kasana D (2014) Terning tides. Capstick L (2012) Using historical farming records to analyse the factors contributing to the decline of the grey partridge (Perdix perdix) and ingestigate the possibilities for its future recovery. Edmondson H (2012) National Character Areas: A landscape scale conservation framework for Higher Level Stewardships. Handley T (2012) Current status of Iberian lynx (Lynx pardinus) in Montes de Toledos, central Spain. Llewellyn L (2012) Response of a floodplain carabid beetle community to stream restoration and grazing. Parnwell E (2012) Nature Conservation in London’s Urban Woodland: An Evaluation of Factors Affecting Biodiversity. Honour L (2011) Investigation of the feeding ecology of a small population of southern giraffe (Giraffa camelopardalis giraffa) on a private nature reserve in South Africa, and the implications for conservation and management of the species. Raggett L (2011) Mitigation for Annex II Bat foraging and commuting habitat – Hoping for the best? Zak A (2011) The effects of rhino dehorning: Rhino behaviour and tourist attitudes at the Oserian Wildlife Sanctuary in Kenya. Bergland L (2010) Prospects for the conservation of brown bears (Ursus arctos) and Asian black bears (Ursus thibetanus) in Fenglin Man and Biosphere reserve, Yichun, China. Fenton E (2010) Can you call a Gibbon by its call? Needham O (2010) Avian density and distribution at Fenglin Nature Reserve, Yichun City, China. Yates F (2010) The effect of Himalayan Balsam Impatiens glandulifera on carabid and other epigeal invertebrate assemblages and diversity in riparian vegetation. Craig J (2009) Modelling Lion territories and capacity in Kenya. Smith L (2009) Does hunting inhibit regeneration of primate-dispersed tree species in Amazonian Ecuador? Storie A (2009) Planning and Biodiversity Conservation: deciding the appropriate scale of mitigation for habitat loss - Northamptonshire Grasslands. Gurney J (2008) Study of the cattle grazing trial in Richmond Park. Livingston F (2008) An Investigation into habitat requirements and ecology of the Small Red-Eyed Damselfly (Erythromma viridulum, Charpentier) in South-East England. Majid SA (2008) Vegetation Patterns and Anthropogenic Effects in Al-Reem Biosphere Reserve in Qatar. Cording F (2007) Greenspaces in the London Borough of Enfield: Use of Electronic Devices in Habitat Surveys and the Consideration of Sites of Importance for Nature Conservation. Kapsalas G (2007) Biodiversity of ground beetles in river floodplains: implications for river restoration and conservation. Neal S (2007) An assessment of the Herpetofaunal biological diversity of the Hydrological Reserve on Isla Del Ray, Las Perlas Archipelago, Panama. Ashby N (2006) Ecological connectance of river-floodplain systems in lowland England: implications for river restoration and riparian ecosystem conservation. Gilbert T (2006) Population density and diet of the African golden cat Profelis aurata in Lope National Park, Gabon.